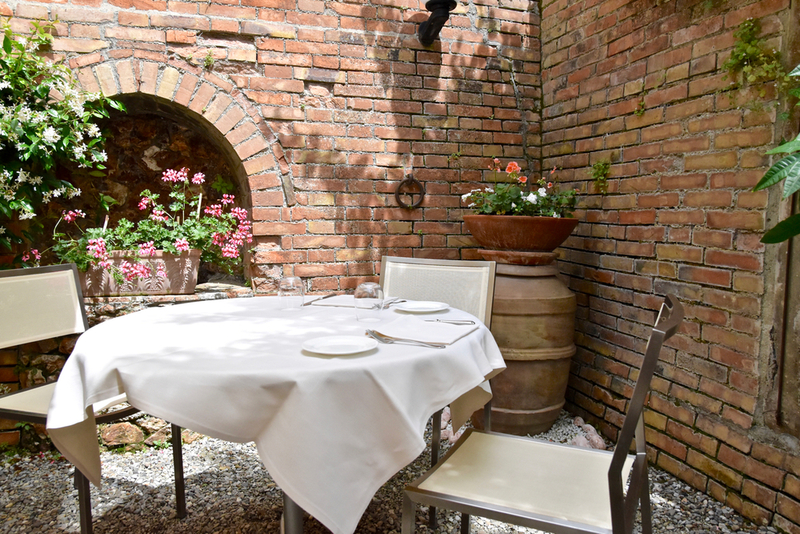 Located opposite the historical Tempio di San Biagio, one of the Tuscan Renaissance’s most stunning buildings, La Grotta is a restaurant which impresses with its superb cuisine and unbeatable ambience. Under the guidance of David and Cristina, the brother and sister team who run the restaurant, guests are taken on a memorable journey of flavour which strikes a clever balance between traditional Tuscan cooking and a passion for culinary innovation. 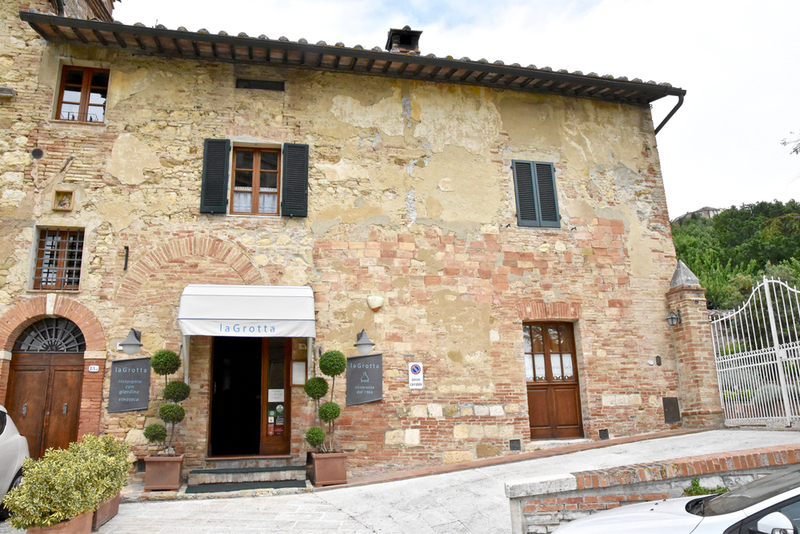 The restaurant is housed within a beautiful sixteenth century building - inside, a traditional Tuscan welcome awaits with dishes ready to arouse all the senses. Sitting outside in the garden and enjoying a meal at this restaurant is truly one of life's great pleasures. To start, the beef tartare was superb. 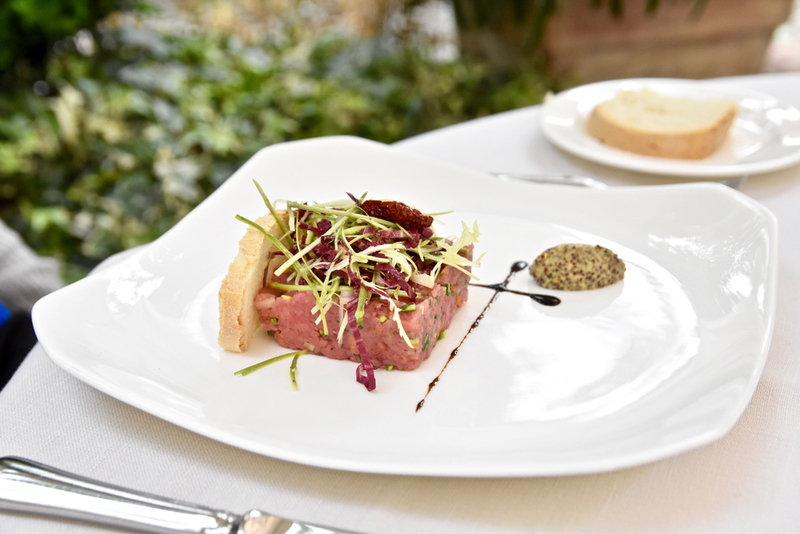 Minced beef was decadently spiked with a tart mixture and perfectly balanced with luxurious olive oil and refreshingly crisp salad. Potentially one of the best beef tartare dishes we have tasted. The aubergine and zucchini tart with crispy Tuscan bacon was simple but rewarding with its crisp exterior surrounding a moist and perfectly seasoned medley of aubergine and zucchini. The crisp Tuscan bacon seasoned the entire dish. This hearty dish left us begging for more. 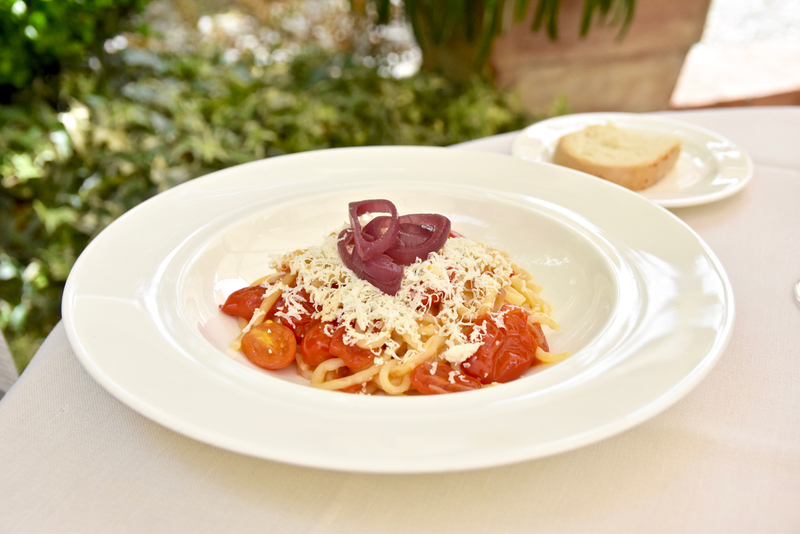 The pastas at La Grotta are simply but incredible. Not to be missed is the irregular home made pasta with olive oil, garlic and spinach. Perfectly al dent, the exquisitely prepared pasta pairs to great effect with the heady garlic and melt in your mouth wilted spinach. Perfection in simplicity. For mains, the Saddle of rabbit flavoured with onion, mustard and steamed spinach was tender and boasted impressive depth. Rustic and delicious. Showcasing the restaurant's versatility, desserts, both the Mascarpone mousse with coffee ice-cream and sambuca parfait glassè with nuts boasted flair and were a delightful way to conclude our meal. 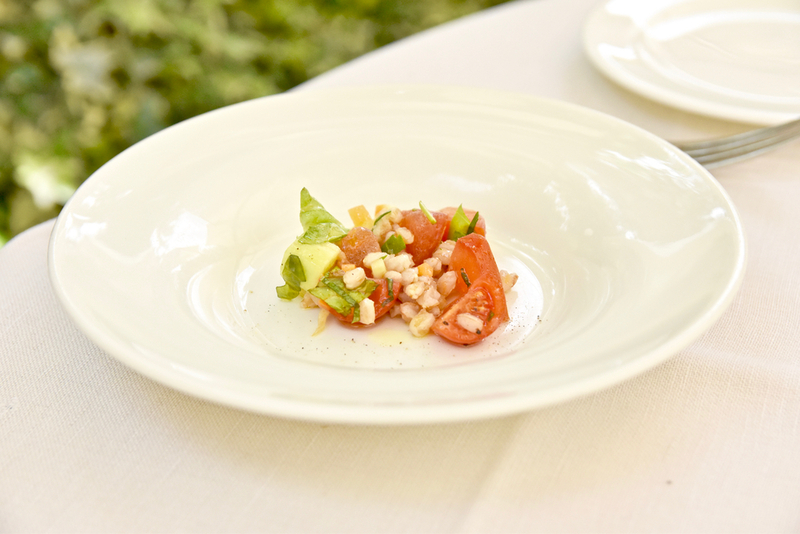 La Grotta honours the local food and wine heritage of this beautiful region whilst also forging its own unique path. A must visit.